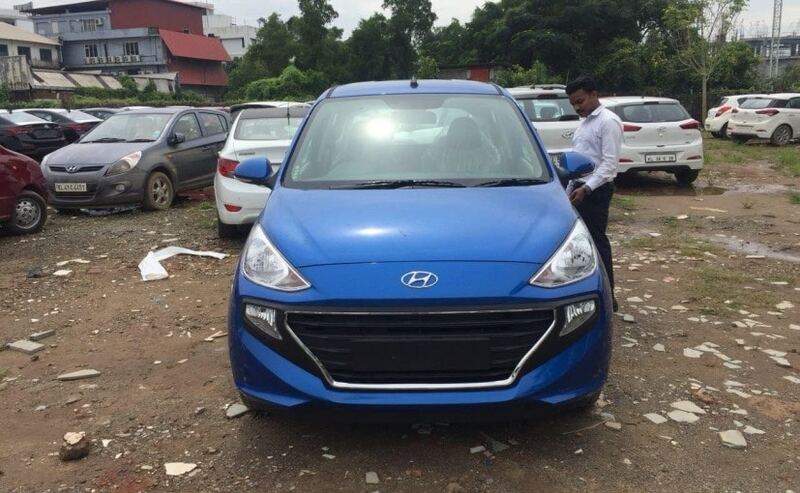 Images of yet another Asta variant of the upcoming Hyundai Santro have surfaced online and this time we see the car in this new vibrant Marina Blue shade. The Hyundai Santro is the most hotly anticipated of launches of 2018. The hatchback with the Santro badge makes its return to India and will replace the Eon in the company's line-up. 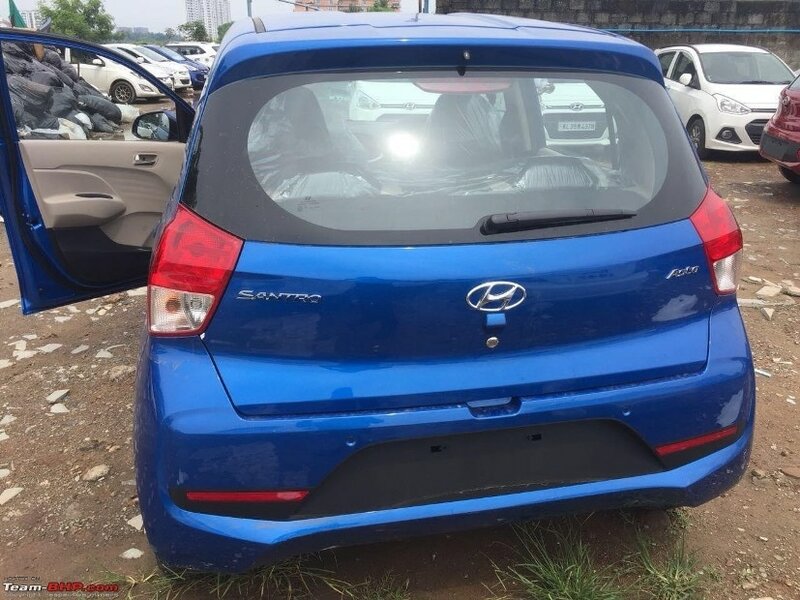 We've already told you that there will be a whole bunch of colours that the Santro will be available in and now we've got some fresh pictures of the car draped in the Marina Blue colour. The blue certainly suits the body shape of the Santro and it looks pretty good in it. This is a colour similar to what we've seen on the Elantra. The company already announced that there will be a total of 7 colours on offer namely - Typhoon Silver, Polar White, Stardust (dark grey), Imperial Beige (as seen in the pictures), Marina Blue, Fiery Red, and that Diana Green, which comes with matching green interior styling. Hyundai has built the Santro on an all-new platform and has invested a sum of $100 million in 3 years. The all new Santro is equipped with a 4-cylinder 1.1-litre Petrol engine with low vibrations, superior performance and high fuel efficiency. The petrol version puts out 68 bhp and there's 99 Nm of torque on offer. The car will be the first Hyundai model to offer in-house developed Smart Auto AMT Technology and will have a factory fitted CNG option. The mileage with the CNG option on the car is 20.3 kmpl. Power with the CNG stands at 59 bhp. Hyundai India has also packed in the Santro with new age technology features including segment-first 7 inch Touch Screen Audio Video System. 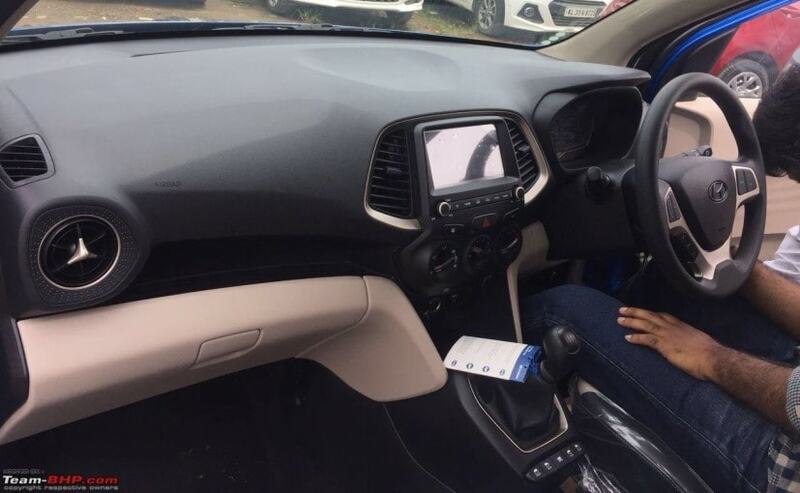 The Multi-media system is equipped with smart phone connectivity - Android auto, Apple Carplay and Mirror Link along with supporting voice recognition function & rear parking camera display on screen. The Santro also sees the introduction of rear AC vents which is a segment first.